Day 27 of the 5-Week Author Blog Challenge asks participants to describe the things they’re doing to grow their author platforms. All 35 posts for this Challenge will be focused on writing, publishing, and book marketing. I hope you’ll stick around through all 35 posts. And if you want to take part, come on in – the water is great! You can register here. What are the three most important things you are doing to grow your platform? An author’s platform is his/her ability to reach their audience of book-buyers, or their plan to do so. It is a measure of your EXISTING INFLUENCE and your ABILITY TO SELL to your market. This is why celebrities find it much easier to land book deals than unknown writers – they already have a built-in audience. The good news in my situation is that I’ve got a pretty good social media presence, a lively speaking career, a solid blog following (thank YOU for reading! ), and the wherewithal to get video marketing underway. The challenge is that I’ve spent the better part of the last 15 years building my business of helping other authors make and market their books, so that’s where my attention has been focused. It remains to be seen whether the audience converts to support me as a novelist. Just in case you’re wondering, I’m not counting any unhatched chicks (to borrow a favorite phrase from my mom). Marketing a novel – and building a platform as a fiction author – is a different beast than using books to support an existing business. Generally speaking, fiction readers want one thing from you if they like you: more novels. But a successful novelist also knows how to cultivate relationships with his/her readers by offering behind-the-scenes glimpses into their characters’ world. In the case of Stan Finds Himself on the Other Side of the World, as opposed to, say, a sci-fi or paranormal story, there’s lots from reality to draw on. Articles about the social issues. Talks to travel groups and arts organizations. Pinterest boards with images from the countries Stan visits. But a really creative fantasy novelist will be able to build such a realistic world for his/her readers that they can treat it similarly. Who’s to say that a gay cyclops who feels ostracized by his peers couldn’t be the perfect jumping off point for a conversation about diversity at a youth center? Stan and Isis have their own blog, which will get much more attention in the days to come. Their interests and focus will be more focused on the above-mentioned social and travel issues than Marcie’s posts, which will continue to focus on book marketing. I’m also planning a virtual treasure hunt that will take participants along the same trail Stan follows. The goal is to grow Stan’s platform organically, one valued, enthusiastic reader at a time. What steps are YOU taking to continue to grow your author platform? Share your thoughts in the Comments section below. Please be sure to check in again tomorrow, when I’ll go into detail about how I am using/plan to use social media to get the word out about #StanTravels. 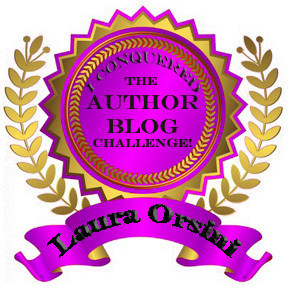 And for the record, I’d love your feedback on my Author Blog Challenge posts! And, of course, would really love to have you support all of the bloggers in the Challenge. Find their links here. Here’s to meeting all kinds of wonderful characters in your waking life! If you’re getting ready to launch your book and would like help to put together a successful event, download my free special report: Anatomy of a Book Launch. Then CALL me at 602.518.5376 to schedule your complimentary 15-minute consultation. It’s never too early to begin planning! Make a really good book! That’s the million-dollar question, isn’t it? How do I find readers for my book, now that it’s written and I’m getting ready to print a few copies? I have said again and again – in this blog and at our Meetups – that you’re shooting yourself in the foot if you wait until your book is done to begin marketing it. However, that’s certainly the situation in which some authors find themselves. So their goal, more often than not, is to build a platform from scratch. How do you do it? There’s no cut-and-dried answer. If you look at this list, there are dozens of ways to sell and market your book. Where should you begin? Should you attempt to do all of them? Let’s take the second answer first: OF COURSE NOT! As for beginning, you should begin wherever it makes sense for you to begin. First, who are your prospective readers, specifically? Then, what can you do to begin connecting with and developing relationships with those readers? If you already have a Facebook following in the thousands, that might be the place to start. If you’re already dabbling at blogging, maybe begin to tailor your posts to be about your book – or start a new blog. If you’ve got access to the media or are good at writing media releases, perhaps that’s a good place for you to begin. It’s going to be different for each author. Perhaps you want to start with reviews or a blog tour. Read the archives of this blog – we’ve covered hundreds of ways to begin building your platform. make the best book you can possibly make. This means you’re not taking shortcuts. You’re writing a complete book with a fantastic story or compelling content. It’s ordered in a way that makes sense and has an appealing design. You’ve had it professionally edited and had a professional design the cover for you. You’ve SpellChecked and double-checked every URL and phone number. You have appropriate headers, footers, page numbers, and a Table of Contents. You paid as much attention to the back cover and the spine as you did to the front cover. You have a legitimate ISBN which you bought and belongs to you (not one from someone selling off ISBNs from their own set of 10). You have created a publishing company, and your book bears your publisher’s mark on the spine. This is a book that will run rings around the vast majority of the rest of the self-published books out there. And once you know you’ve got a good book on your hands, it becomes that much easier to share it with people, create buzz around it, and channel your marketing efforts into a sizable platform of fans who are willing to help you market because they are so excited about your book. Here’s to a your great marketing success! PHOENIX-AREA BOOK LOVERS: Come out to meet me and 30+ other local authors for this one-of-a-kind book lovers’ event. Several first-time authors, award-winning authors, and authors of a wide variety of genres will be on hand to sell and sign books. Genres of all sorts – from fiction to spirituality to leadership to personal finance. The first 100 attendees to register will receive goody bags! Giveaways on the half-hour. Learn more and get your complimentary ticket at SummerAuthorEvent.com. Just came across the infographic below on the left and was struck by two things: (1) the subtitle and (2) the fact that marketing is plunked in as the very last item. The subtitle reads: “this is how self-publishing a book [is] done right from scratch.” I could not disagree more. The advice in this infographic is WRONG, WRONG, WRONG! The problem is the fact that marketing is plunked in as the very last step in the process. How can a company that describes itself as “having its humble beginning as an online marketing service provider” miss the boat so completely? I created the infographic on the right a couple years ago to make the precise point that a successful book MARKETING campaign must begin as soon as you start writing. If you wait to begin marketing your book until you’ve got a thousand copies of it taking up the space where your car should be in your garage, you’ve set yourself up for a massively uphill battle. No matter how good it might be, your book is not going to sell itself. If you want more people than your mom and your best friend to buy it and read it, you have to embrace the role of book marketer. If you’re in the early stages of writing or publishing your book, the time to begin marketing it is NOW! But it’s never too late to begin. Explore your marketing options, make a plan, and begin. Wherever you are – BEGIN. 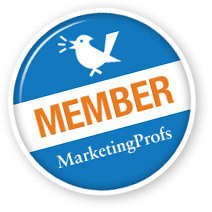 Here’s to a your marketing success! For the next 10 days, we’ll be taking a little detour from the traditional marketing posts you’ve come to know and love on the Marcie Brock blog as I lead by example and follow my own writing prompts for the Author Blog Challenge. Book marketing isn’t rocket science, and I’m not special. What that means is that I must implement all of the same strategies and planning that I share with you through this blog if I intend to build a big platform and take my book to as wide an audience as it has the potential to reach. The interesting bit is that I’ve been doing these things for my clients for years. It’s not a lack of knowing what to do; the issue is DOING it. Why does human nature so often tend to allow us to do much more for others than we do for ourselves? Part of it is that a book is a business – and a business requires the constant feeding of time and energy if it is to succeed. If you’re self-publishing, you know this already, don’t you? Especially if you’re working full-time, raising kids, going to school, trying to make time for your partner, and juggling all the other things a 21st century woman (or man) tends to have to juggle. I’m not raising kids – but I have 5 pets. I won’t pretend they’re as needy as children, but they all have their own special issues which do take time and mental energy. And I’m running my own business – which, if you’ve ever done it, you know requires far more than a 40-hour-per-week commitment. Throw in a blog challenge and a political volunteer stint, and you’re lucky you can type words that make any kind of sense at all. So what’s my plan to grow my platform? Well, I always have to thank my mentors. In this case, it’s my former personal trainer Scott White who gets the biggest shout-out, as he was the one who gave me the foundation for my social media prowess. He introduced me to Facebook, got me started on Twitter, told me I had to blog, taught me everything he knew about SEO (which is considerable). Now, I’ve got a really good handle on all of the above – and it’s just a matter of focusing these strategies on my book. Having been at it for quite some time, I’ve created a fairly sizeable following on Facebook (2,427 friends). The challenge here is that I got really involved way before business and fan pages existed, so I used my personal wall as a catch-all for everything. My business page is doing pretty well with 433 “likes” – but I haven’t really done anything about creating a new 1001RLQFW page or group since the changeover to the new format. Ah … work still ahead of me. It’s more or less the same story on Twitter – except at least I have a Twitter presence for 1001RLQFW. Click the image twice (not a double-click) to enlarge. Then hit the back button to return. I do plan to create a 1001RLQFW Pinterest board that will include photos accompanied by specific questions from the book. The nice thing is that those sizeable followings on Facebook and Twitter make any new forays into social media easier, because I’m already something of a known quantity. I’m also working on SlideShare presentations that illustrate three or four questions at a time, with a musical background. Of course, these may overlap with YouTube – it depends on how they turn out in the final mix. Then, of course, there is the blog, where I write in general terms about the issue the question addresses and NING, the place where I offer my personal responses to the same questions the blog addresses. BIG DISCLAIMER: It’s been a looooooonnng time since I posted on the blog. I know that. I don’t suggest you follow my lead there. Follow Marcie’s lead. We’re at something like 80 posts in the last 81 days. I’ve been compiling a list of women’s groups for a while now. Next up – reaching out to them to offer the book as a fundraiser – or simply to ask how we can partner for a promotion. Within my own network are quite a few women who run a myriad of groups and organizations, but Meetup is also a great place to reach out to similar groups in other parts of the country. This one is the furthest out, as it’s also my biggest goal. I plan to create a radio show that in some way ties all my myriad interests together – but which will, first and foremost, promote the book. While terrestrial radio is struggling, like so many formats of old media, Internet radio is really starting to catch on. I’m not sure which way I’ll go yet, so I actually have more questions than answers at this point – but this is definitely on my two-year plan. That’s it for me and 1001RLQFW. How about you? What three things are you doing to grow YOUR platform? 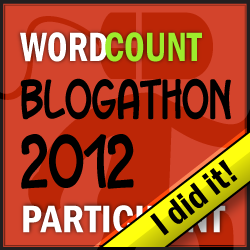 In honor of our 1-year anniversary (May 2, 2012), we’re hosting the Author Blog Challenge! It starts June 2 and is open to published authors, authors-in-progress, and would-be authors. Come check us out! Shoot for the stars when seeking celebebrity endorsements for your book! For the next 11 days, we’ll be taking a little detour from the traditional marketing posts you’ve come to know and love on the Marcie Brock blog as I lead by example and follow my own writing prompts for the Author Blog Challenge. Who did/could you ask to write a blurb for your book? Why that person/people? How did/will you go about reaching them? Endorsements, also called testimonials or blurbs, are statements made by people attesting to the quality of writing and the value of the content in your book. If you can get celebrities or industry experts to endorse your book, it can have a significant positive effect on prospective buyers. In marketing terms, this is called the ‘Halo Effect,’ meaning you benefit from another person’s or organization’s notoriety. Thus writes Brian Jud, author of How to Make REAL Money Selling Books (without Worrying about Returns). And Jud is correct. If you think about how many times you’ve seen famous folks pitching every kind of product from cosmetics to financial services on the TV machine, you probably know the value their endorsements mean to big companies like CoverGirl and Capital One. So think about what a celeb endorsement could mean to your book! The advice I universally give my clients is to AIM HIGH. Reach for the stars, in terms of who you approach to ask to write the intro or compose a blurb for the back of your book. The worst their going to do is say no, and you’re no worse off than you were before you asked. While it may seem almost impossible to obtain a blurb from a celebrity, that doesn’t have to be the case. The best way reach out to someone famous for their endorsement is through networking. Talk to everyone you know and see who has a direct connection or knows someone who could make an introduction for you. Of course, you want to make sure your book is a good fit for that person. It probably wouldn’t make a whole ton of sense to approach Arnold Palmer for an endorsement of a SciFi book or Rachel Maddow for a blurb for your romance novel. Another option for contacting the celebrity of your dreams is through the mail. The goal is to make it as easy as possible for them to reply to your request. In your initial query, include a cover letter asking them to endorse your book. Include with it the pertinent info regarding why you’re tapping them for this particular book: the table of contents, a galley copy or sample chapters for their review. Also provide a self-addressed, stamped envelope (SASE) to make it easy for them to get back to you. Tell your celebrity up front that you appreciate them taking time from their very busy schedules, and provide sample testimonials from which they may choose if they do not have time to write one of their own. Think about how busy you are. Even if a celebrity loves your book and wants to endorse it, it can take some time to receive a response from them. If you do not hear back from someone in two or three weeks, send a follow-up letter or email. They may have a gatekeeper screening their mail or email, so just keep at it. And wherever possible, make direct contact! I have, to date, made one significant overture for a celebrity endorsement of 1,001 Real-Life Questions for Women. My friend, Connie, attended an event where Sark was speaking and had a chance to present her with a copy of my book. She said she liked it, but was too busy writing her current book to do any endorsements at the time. That was a couple years ago, though, so I guess it’s time to take my own medicine and try again – as well as developing a longer list and getting busy! The Screen Actors Guild represents nearly 120,000 film, television, commercial, and music video actors. Contact Any Celebrity claims to have a database of more than 15,000 reliable celebrity addresses. There’s a fee to join, but once you register you will receive full access to the members’ area, which allows you to search the database of celebrity addresses. Reel Classics, the classic movie website, provides a free list of addresses for certain celebrities that have approved the use of their contact information. Additionally, I CANNOT and DO NOT vouch for this, but I came across an info product titled Secrets to Getting Celebrity Endorsements that claims to teach you all the ins and outs of obtaining celebrity endorsements. I was interviewed today by a self-publishing consultant for a new program she is putting together to guide first-time authors through the publishing and marketing processes. As is common in these interview scenarios, the interviewer sent me her questions ahead of time. The following is one of the best questions I’ve been asked in a long time. is not interested in their particular book? Although the natural place for an author to begin growing their platform is with their current network, the fact is that the people in your network may NOT be interested in this particular book. (1) Do your research. Go back to your reasons for writing the book in the first place. Determine WHO your audience is and WHY they are interested in it. What are their demographics (age, education, marital/parenting status)? What are their psychographics (personality traits, values, attitudes)? What kinds of books, magazines, and Web sites do they already read? Where, how, and with whom do they spend their time? To which organizations and associations do they belong? How can you best gain access to them, both virtually and in real life? The answers to these questions will be your jumping off points for building your platform. (3) Don’t dismiss that uninterested network so quickly. Now that you’ve got some concrete data about the audience with whom you want to connect, comb through your personal network to determine who among them is ALREADY CONNECTED to any of these people and ask them to make the appropriate introductions for you. (4) Call on your personal network to become your ambassadors. Say you’ve morphed from your traditional topic of sales training into merchandising, and your personal network isn’t really interested in a book on this subject. They are, however, hard-earned and loyal fans. So leverage your credentials and goodwill with them by calling on your network to share your new book topic with their own networks. The worst they can do is say no – in which case you’re really no further behind than you were before asking. Best case scenario, someone from your existing network opens a door for you to the perfect liaison to help you grow your platform! If this is your first book and you don’t already have a sizable platform, growing it will take time. But with diligence, consistency, and quality content and communication, you can do it. It’s never too early to start! Two things you can do next: (1) Visit the Write | Market | Design Facebook page and “LIKE” it if you like it. (2) Visit Laura’s other blog.